to our ATP MFS [Machined From Solid] compressor wheels. ATP MFS Wheels are designed by experienced engineers for enhanced air flow characteristics over the factory OEM standard Comp Wheel specifications. Advanced Turbo Performance MFS comp wheels gives you both added advantages of?superior?durability and more flow at lower temperatures. 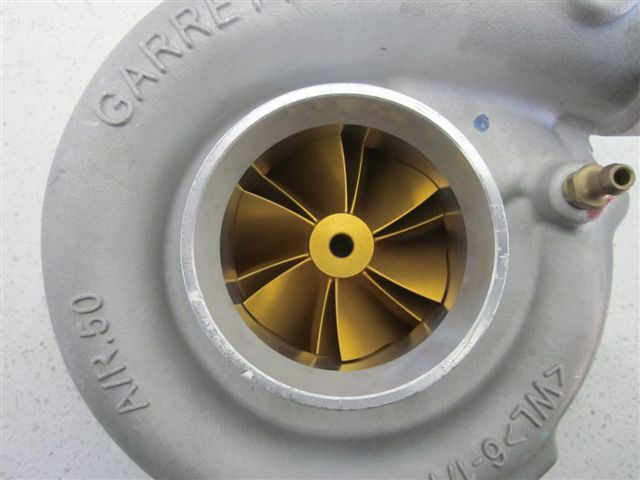 All high horse power applications demand impeller durability as turbine rotor speeds and temperatures increase well over the limits of the standard factory materials normally used. Cast aluminium impellers often fail as a result of high temperature (at high boost pressure) and material creep. The impeller then ?grows? and deforms and touches the compressor housing contour. 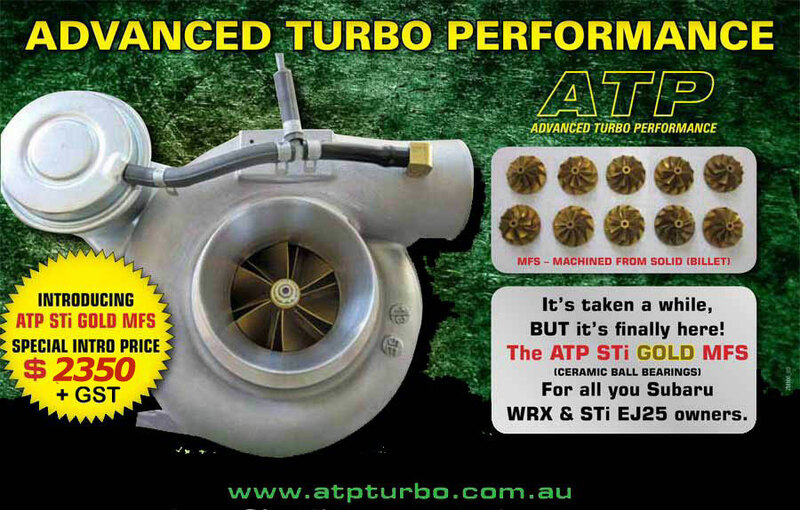 At such high boost pressures the turbo is running in/over its maximum allowable speed range. Such high rotational blade-tip speeds of the rotor cause undesirable extra vibrations and frequencies, in particular when rotor speed changes. This in turn can result in impeller breakage or blade failures, often destroying the entire turbocharger in split seconds. When cast aluminium impellers fail, it mostly is the result from metal fatigue, traceable to casting defects such as oxides or other impurities. The material properties of cast aluminium are less suitable for top end boost pressures and resulting high material temperatures. 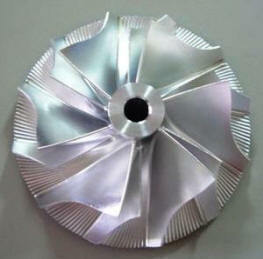 Therefore a new method of manufacturing impellers has been developed. Using forged #7075 Aluminum Alloy, the ?billet? impellers are machined by a high speed five-axis CNC operation, which is needed to achieve the same intricate aerodynamic impeller blade profile and finish required for optimal aerodynamic and mechanical performance. This also means that wheel geometry is not subject to casting surface tolerances and foundry process variability over time. It furthermore means that no compromise has to be made to the sophisticated surface blade design. As well as better performance, it brings an inherent life improvement, even at top end boost pressures and high compression inlet temperatures.